Wooden Church of Three Saints is located in the historic district of Pryluky – Kustivtsi. 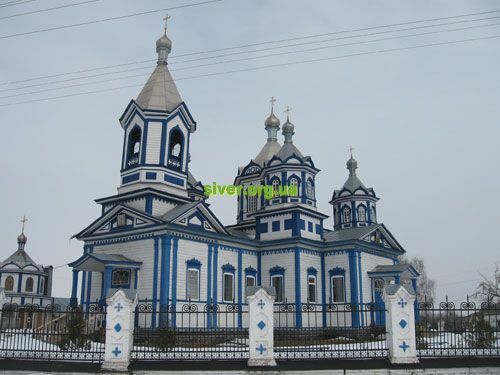 Hence its other name – the Church in Kustivtsi. 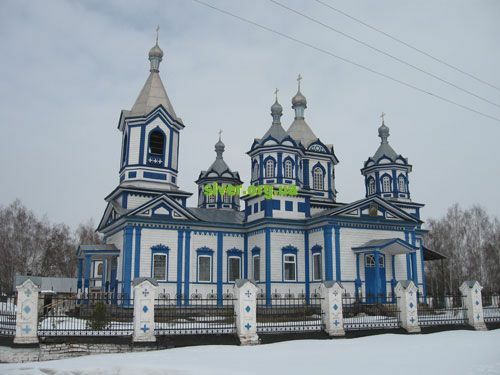 The first temple on this place was built in 1752 on the means of Pryluky Colonel Galagan and sotnik Gulenko. The current church was consecrated in 1878. 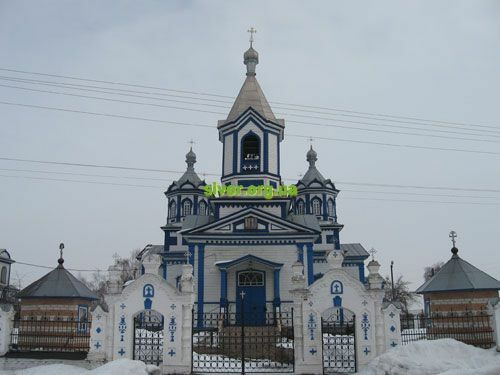 Its architectural style can be described as “parafialny (parish)”. This five-domed temple especially strikes in winter when along with ornamental wrought-iron fence and on the background of white snow it resembles a white-blue fresco.